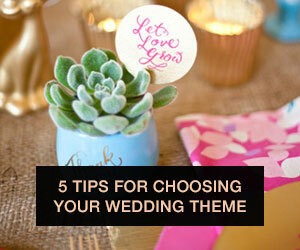 One of the biggest questions we get from brides is how to tastefully ask for cash. It's frowned upon, but if you already have everything you need for your new home, why register for even more items that'll just be clutter? In this post, the resident registry experts at Zola will tell you everything you need about how to register for cash in a tasteful way. For your wedding day, your friends and family want to give you a gift you will love. It is typical for the modern couple to have already accumulated appliances, dinnerware, and home décor. For many couples, the gift that would make them the happiest is cash. Monetary gifts are much more commonplace and definitely more acceptable today than they have been in the past. But while it’s no longer frowned upon for couples to create cash funds, there’s certainly a right way to go about asking for money without making your guests feel uncomfortable. Here are a few tips that will help you when asking for cash. Choosing a cash fund that’s easy for your guests to access and use is important! Make sure everything is in one place. Zola Registry not only makes the process easy for you and your guests, but they also allow you to keep gifts, funds, and experiences all in one place. This is not only convenient, but it will make everyone feel more comfortable with the asking and giving of money. Let this happen as organically as possible. Tell your family, closest friends, and other guests you see that you’d prefer cash to celebrate your big day. They’ll help spread the word. If people hear that you’re looking to invest in a home, buy a car, or want help paying for your wedding, they’ll feel more comfortable contributing and you won’t feel tacky asking! There are tons of different ways that guests can contribute cash these days. There are honeymoon funds, experiences funds, and funds for your future (like a home renovation or down payment). Make it clear what you are spending the money on, and think about what funds will have the most impact on your newlywed life. This will help your guests feel more connected to their gift they’re giving you! On Zola, you can make a series of cash funds, label them all clearly, and keep them all on one page. Allow your guests to contribute at different price points. This will not only allow more of your guests to contribute, but it will also make them feel more comfortable. Many cash funds allow guests to contribute as much as they’d wish, or allow you to divide your gift into fixed contribution amounts. Not everyone will want to (or be able to) contribute in multiples of $100, so be sure to provide a few options that are suitable for all different budgets.